blog.HalloweenAdventure.com | Latest News from the Costumes Trend FrontLines! 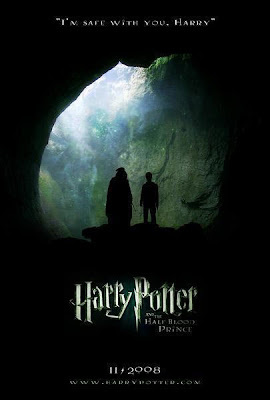 : We're getting so excited for Harry Potter and the Half Blood Prince! We're getting so excited for Harry Potter and the Half Blood Prince! This weekend, while taking in a chick flick at our local movie theater, we saw the latest preview for Harry Potter and the Half-Blood Prince. It sent chills down our spine. We don't know if we can wait until July to see it! We're still angry at Twilight for forcing Warner Brothers to push back the release of HP until summer 2009. Seriously, those vampires have nothing on the wizards of Hogwarts. Here's the latest trailer. Call us if you can watch this without your blood vibrating through your veins in utter excitement. Then, check out the Harry Potter theme park we can't WAIT to visit when it opens in 2010. Lastly, click here to start stocking up on your Harry Potter costumes. Everyone knows the real fans dress up for the premiere, and you wouldn't want to show up looking like you don't care, now would you?